The Steamship Savannah, by Jean Baptiste Marestier. go to STEAM COFFIN’s facebook page. Copyright © 2010-19 Hodos Historia LLC. All rights reserved. John Laurence Busch will be speaking at the following venues as described. Click through to the Sponsor’s website for details. Museo Naz. Scienza / Tec. The Helix - Dublin City Univ. Ships of the Sea Maritime Mus. New London Cty Historical Soc. Great Blue Hill Sail & Power Squad. Transitions in Energy History Conf. 38th Humanities & Technology Conf. 35th Humanities & Technology Conf. IEEE Consultants Network - Long Is. World History Assoc. of Texas Confer. 9th Biennial Automotive History Conf. Georgia Association / Historians Conf. Friends of the Mt. Pleasant Public Lib. USCG Aux. 1st District Northern Conf. New England Model Engineering Soc. Society of the War of 1812 in Mass. Public History of Science & Tech Conf. Southern Lancaster County Hist. Soc. Keynote - S.C. Engineering Confer. U.S. Submarine Veterans - Hampton R.
U.S. Submarine Veterans - New Hamp. 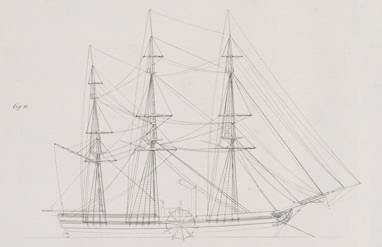 Naval Order of the U.S. - NYC Comm. U.S. Submarine Veterans - Long Is.